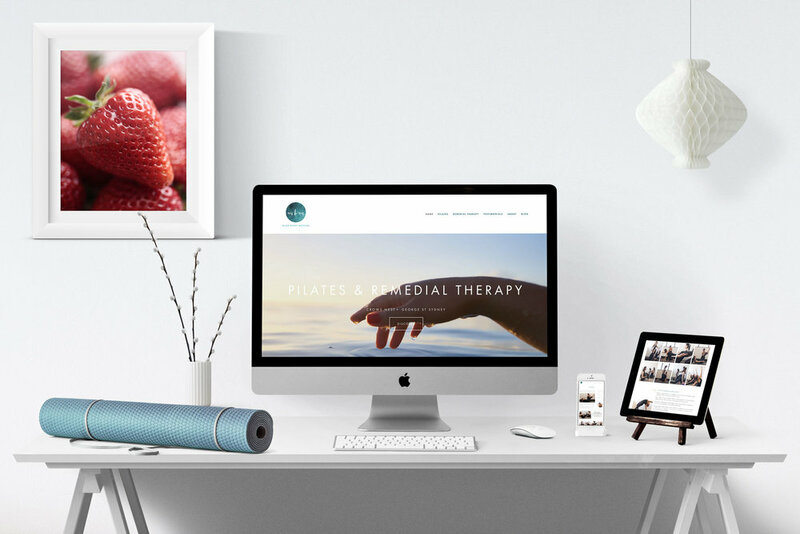 Mind Body Method is a new small business specialising in private pilates classes and remedial therapy in Sydney. It was an exciting web design project as the owner, Jessie Espinosa, was starting with a clean slate for her new business. But she came ready with a beautiful logo. The logo formed the basis for the site’s colours, fonts and imagery. For the first version, we’ve kept it as an information site showcasing Jessie’s services, skill profile and location details with contact forms on most pages so she’s easy to reach. Jessie already has a great number of loyal clients so we utilised them for her testimonials page. As part of her website launch, we set her up with a solid social media strategy that she can execute herself. With Jessie’s background in design and her client’s appreciation for aesthetics, we set her a social media posting plan that would be visually appealing when you look at the whole feed. Part of her social media plan includes a blog on her website where the majority of her social media content will link through to. It’s great for driving visitor to her site and hopefully, convert them into new clients for Jessie. It’s also fabulous for driving SEO! Her business locations are now listed with Google Business so her clients can give her some rave reviews no doubt.